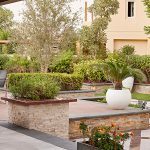 Interior landscape design is continually developing and evolving. Trends are always on the move, and it’s important to be up to date on the latest and greatest designs. 2017 is all about injecting life into your interior space. Come on, let’s bring the outdoors in! Here are a few ideas that are sure to elevate your home. Living walls are popular right now. Not only do they look amazing, but living walls also add an environmentally friendly element to your home that promotes clean air. A living wall can range in size from filling a multi story space to a small framed piece that elevates your wall decor. Additionally, the vertical living walls rich foliage doubles as a beautiful work of art. They grow and evolve, creating an invariably changing and eye-catching design accents and elevated wall appeal. With the right planning and plant life, living walls can easily be installed and maintained. Colorful plants, succulents, and trailing vines, like the pothos plant, are great choices for green walls. You can even get creative and add a custom water feature to your living wall. The possibilities are endless! 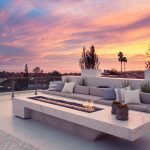 Outdoor rooms are the perfect compromise for anyone who wants to spend more time outside compromising on all of the comforts of home. Outdoor rooms allow for comfortable and stylish spaces inside the home while promoting the appeal of the great outdoors. Even office complexes and businesses can invest in outdoor rooms to provide a fresh and inviting take on the traditional break room. The basic concept is to create the feel of being outside in an indoor environment by filling spaces with floor-to-ceiling plants and lush greenery. 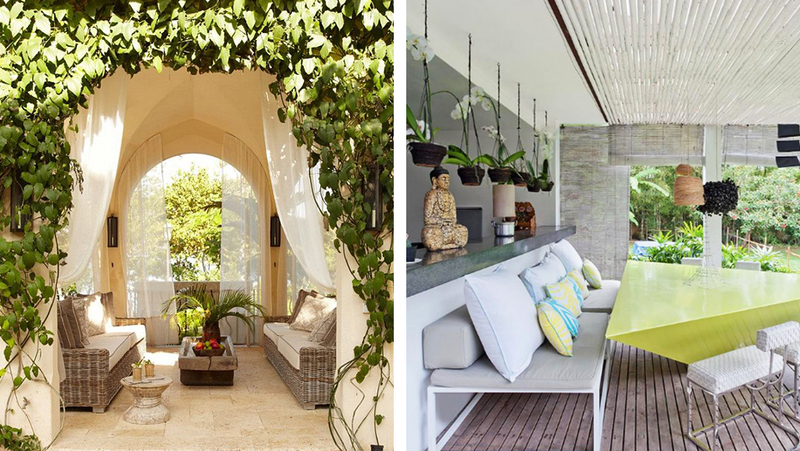 Start by adding tall plants, such as bamboo, palms, or ornamental grasses to partition spaces for outdoor rooms. Next, add comfortable seating and plenty of lush greenery. You can even add a custom water features to add the soothing and calming element of water to your outdoor room. Take it to the next level with custom sunlamps and the sounds of nature and you won’t even remember you’re inside! 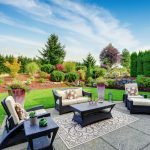 The combination of lush plant life and relaxing water elements will create an inviting outdoor ambiance for everyone to enjoy without ever leaving the comforts of home. The “Locavore movement,” is an eco-friendly trend that challenges people to buy food grown and sourced locally. Taking this movement a step further, many people prefer to grow some of their food in their home. Homeowners and restaurant owners can enjoy ornamental edibles that are both pleasing to the eye and delicious in their culinary dishes. From sage, rosemary, thyme, basil and colorful peppers to kale, cabbage, edible flowers, and salad greens, ornamental edibles are no longer just for the backyard garden. By adding edible plants to windowsills, or even in vertical gardens, you can add fun living elements to your interior decor that simultaneously elevate your home dining experience! 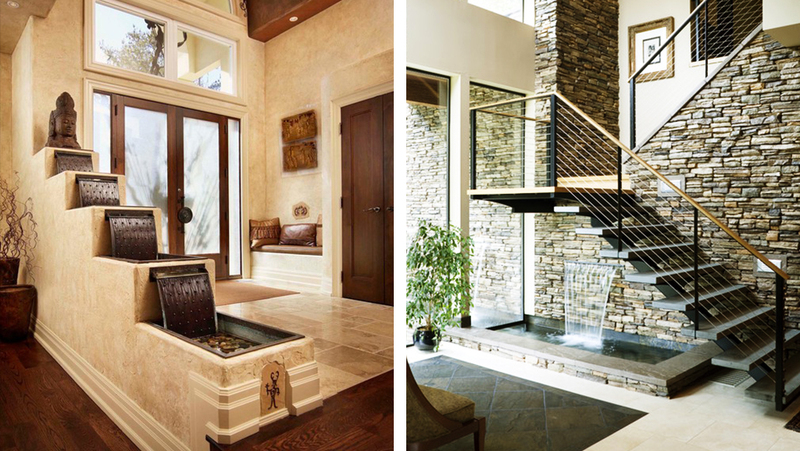 Incorporating moving water to your interior design creates an instantly dramatic influence. Adding a large water wall is sure to create a lasting impression. Working with a smaller space? Consider adding a relaxing fountain that adds the sound of a babbling brook or stream to your home. Waterfalls and water features also change the temperature and humidity of the nearby air, creating a tactile experience. You can never go wrong with adding a soothing water feature! We all want to enjoy the benefits of the great outdoors all year round. Stick to the above design tips and you can experience the wonders of nature within the comforts of your home all year long!